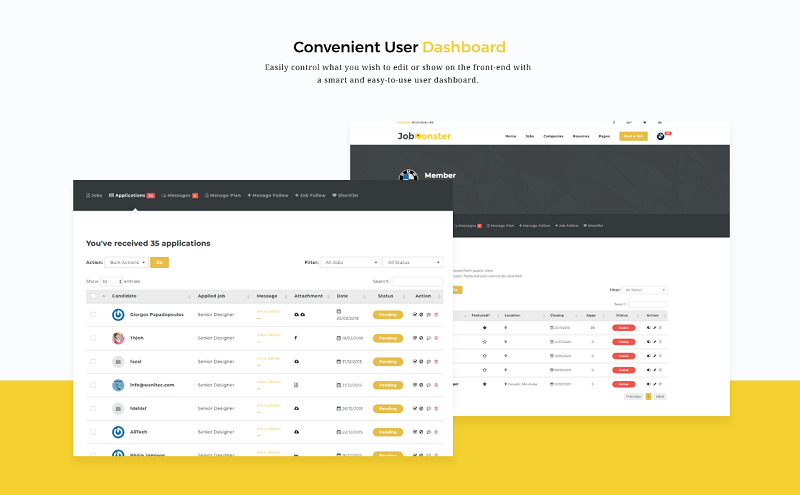 NooTheme announces that Jobmonster version 4.5 has been officially released and the theme is worth what customers expected. 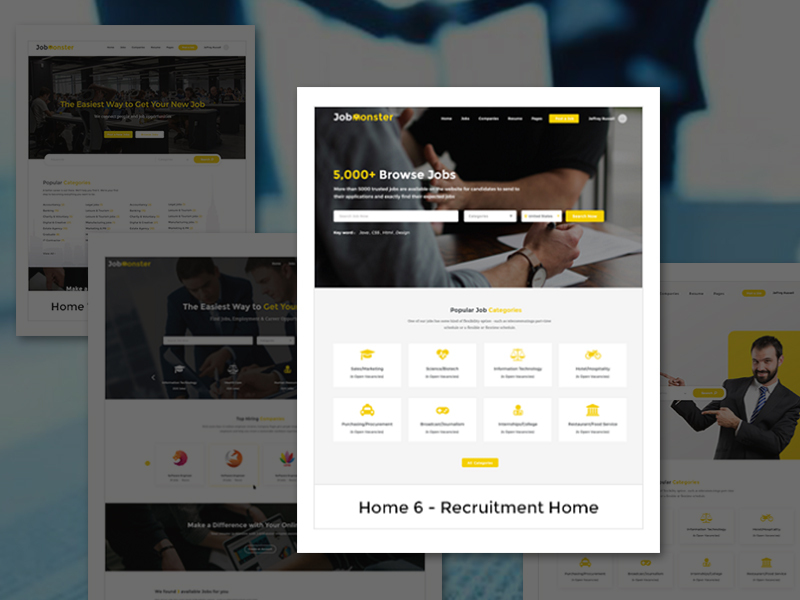 The job board theme one more time create a HIT in the Job Board industry. You will find out lots of amazing features in the new version as adding 4 modern home demos, various nice layout and greatly improve in user management dashboard. The version is the result of kind feedback from our customers and up-to-date trend in 2018. Now we add 4 attractive homepages that are more modern and flexible. Customers now can get the high-performance job board site with UP TO 9 distinguished functional homepage demos. Users easily control what you wish to edit or show on the front-end with a smart and easy-to-use front-end dashboard. 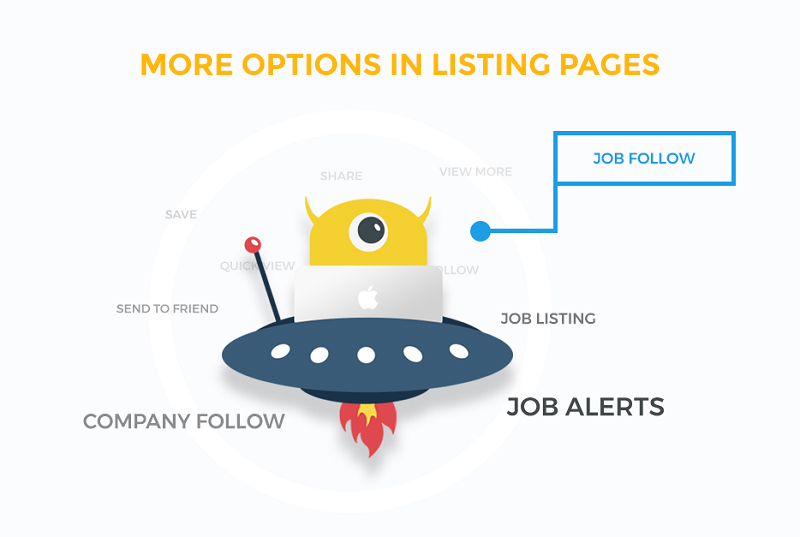 Jobs listing and resumes listing come with more options. The version deserves nice and smart listings of jobs and resumes that allow users to easily look up and control their jobs or resumes. The theme allows users to get unlimited custom fields. 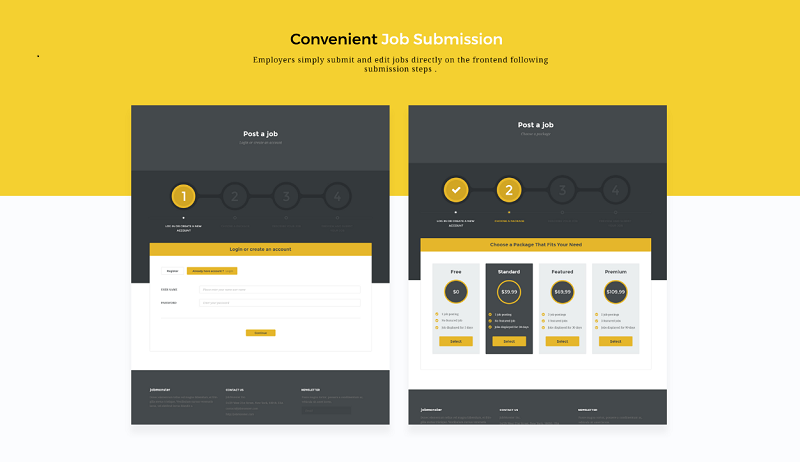 Jobmonster allows users to smoothly manage jobs, resumes and other related job fields by offering specific custom fields for Job, Resume, Candidate, and Application Form. Absolutely smart search! With jobs search and resume search, finding expected jobs and needed resumes is easy as a pie. Both Candidates and Employers can easily and quickly find expected jobs as well as resumes with specific search sections including Jobs Search and Resumes Search. 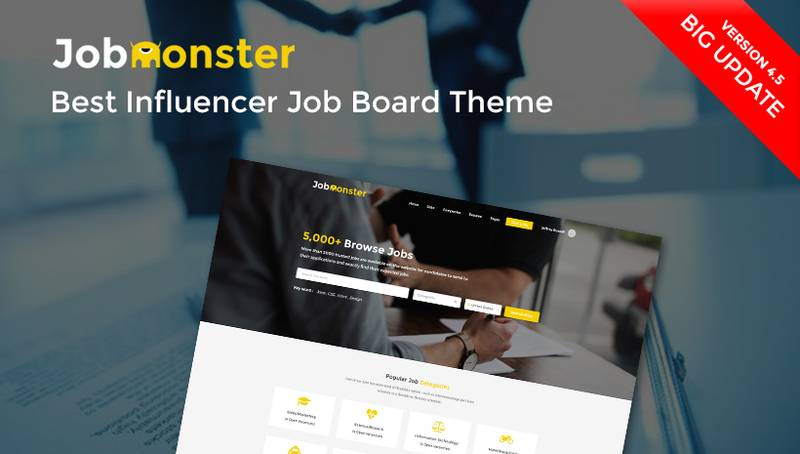 We made Jobmonster 4.5 based on what our dear customers expected and we are sure that all these new features will equip everything you need to build a profitable Job Board site. As our compromise, you will never feel disappointed when immediately take a tour of Jobmonster new version!